Led by Dr. Fernando T. Maestre, the Dryland Ecology and Global Change Lab at the Universidad Rey Juan Carlos brings together graduate students, undergraduate students, technicians and post-docs aiming to understand how dryland ecosystems function and respond to the ongoing global change. Research in the lab is driven by four unifying questions: 1) What attributes of biotic communities control ecosystem functioning in semiarid environments?, 2) How the ongoing global change is going to impact biotic communities in semiarid environmetns and the ecosystem processes depending on them?, 3) Can biotic attributes modulate ecosystem responses to global change?, and 4) Can we use them to establish effective actions to mitigate global change impacts? Other topics related to these that are being addressed by our group include biotic (plant-plant and plant-biological soil crust) interactions, ecosystem impacts of invasive species, and restoration of degraded ecosystems. To address these questions researchers in the lab use the combination of manipulative and observational field experiments, manipulative common garden experiments, long-term monitoring of ecosystem processes and modelling. Our research uses vascular plants, biological soil crusts and microorganisms as model communities, and encompasses multiple spatial scales. 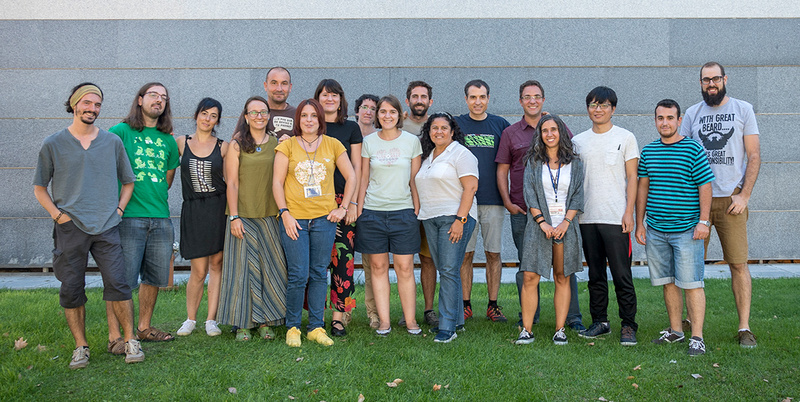 Dr. Maestre’s team is located in the Biodiversity and Conservation Area of the Department of Biology and Geology at the “Universidad Rey Juan Carlos” in Móstoles. This Area is formed by young and talented professors and researchers, with a strong background in areas such as ecosystems ecology, community ecology, evolutionary biology, plant and lichen taxonomy and phylogeny, conservation biology, restoration ecology, global change biology and biodiversity research. Despite the Biodiversity and Conservation Area was created in the year 2000, it is becoming a national and international reference in the fields of plant biology, biological conservation, global change and terrestrial ecology.